We have a special treat this week on honor of our Doctor Who t-shirt – Union Who and Union Dalek. 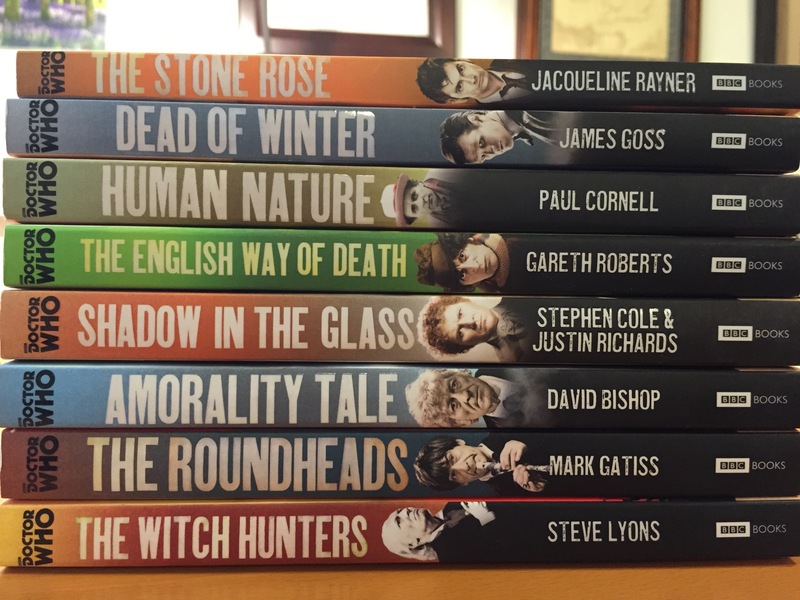 We have a collection of 8 Doctor Who books to give away. The Doctor Who: History Collection is a series of Doctor Who books published last March that explore past Doctors. The Doctor Who History Collection: Eight classic adventures. Eight unforgettable moments in time. Lots of impossible things. We’ll giveaway this brilliant set to one lucky winner – all you have to do is sign up to receive Anglotees updates (we send out at most 3 emails a week, 1 for launch, 1 for last call and occasionally a special sale notice). If you’re already on the list, you can still enter. This is a GLOBAL CONTEST – anyone can enter – we have the books on hand so we can send them anywhere.